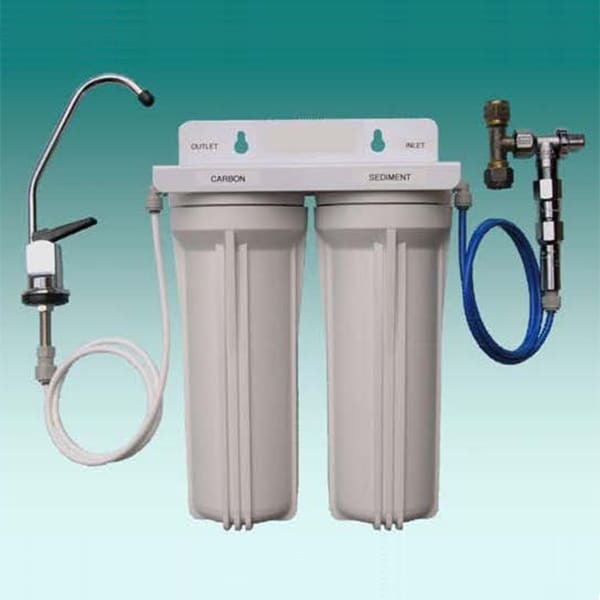 The W2SUFS Dual Undersink filter system is designed for improving the quality and taste of Potable water. The system uses Two (2) filtration stages, the first stage is a Sediment Cartridge which is used to filter dirt particles like sand, silt and rust. The second stage is a Carbon Cartridge which is used to reduce Chlorine Taste, Odour and also Organics. The cartridge supplied in our system will also filter 99.95% of Giardia and Cryptosporidium Cysts. The W2SUFS Dual Undersink filter system accepts most standard 10” cartridges which enables a wide range of filter cartridge combinations for different levels of filtration quality to suit your specific requirements.